Victoria could become the first Australian state to legalise doctor-assisted suicide after a parliamentary committee recommended reforms to give some terminally ill patients the right to choose death. The state government has six months to respond to the proposals, which – if passed into law – would be followed by an 18-month adjustment period. The committee, chaired by Liberal Edward O’Donohue, recommended the choice should only be given to adults with decision-making capacity, suffering from a serious, terminal condition, and at the end of their lives. The proposal prohibits suicide tourism by limiting the regime to Victorian residents. It also excludes dementia patients and those suffering from a mental health condition alone. Requests must be entirely voluntary, come from the patient directly, and be approved by two doctors. Labor’s Cesar Melhem said when he started work on the inquiry he was opposed to euthanasia, but was strongly supportive of the final recommendations. “I think it will get overwhelmingly support from all members of parliament,” he said. Premier Daniel Andrews suggested the recent loss of his father after a long battle with cancer had informed his thinking on the issue. “Personal views are informed by personal experience and I know that for me and for my family, we’ve been doing a lot of thinking about these issues,” Mr Andrews said. Last year he conceded “there is perhaps more public support for this change than there has ever been”. Opposition leader Matthew Guy said he remains firmly against doctor-assisted suicide. More than 100 witnesses – including doctors, legal experts, and terminally ill people and their families – gave evidence to the committee’s 10-month inquiry. While some testified that palliative care is not always sufficient to ease pain and suffering, others raised fears that patients might be pressured or persuaded to end their lives. Bernard Erica, 70, who was diagnosed with terminal secondary lung cancer in the middle of last year, said a possible two-year wait for reform would be too long for many who were already suffering. “That’s when the pain becomes unbearable and there’s no quality of life,” he said. Sue Jensen,59, who was diagnosed with oesophageal cancer in 2009 and later secondary lung cancer, said when her time comes being entitled to choose would bring her great comfort. “It’s my health and it’s my decision,” Ms Jensen said. 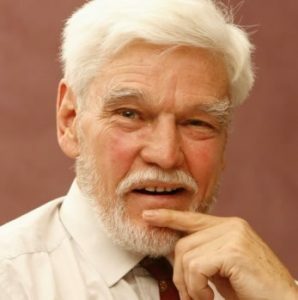 Dying with Dignity Victoria vice-president, Dr Rodney Syme (pictured), who has helped scores of people die peacefully, is being investigated by the Medical Board of Australia. More than 50 Australian bills have attempted assisted suicide reforms since 1993 and the only one to become law, a Northern Territory bill, was struck down by the Federal Government. Any legislation is likely to be a conscience vote for major party MPs. Committee chair Edward O’Donohue said the weight of sometimes harrowing evidence about suicides showed the need for new laws. The committee could not “turn a blind eye” to the 240 suicides identified by the coroner between 2009 and 2013 by people who were facing a painful death, he said. Mr O’Donohue conceded that some people would view the proposed laws as not going far enough. The church warned that assisted death would usher mistrust into medical practice.